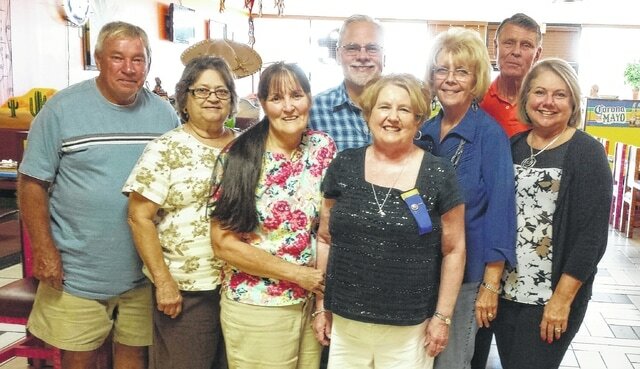 From left to right, Modern Woodmen members Jim Goolsby, Connie Goolsby, Debra Grover, Altrusa President Cathy White, District Agent: Dan Mayo, Modern Woodmen members: Bev Mayo, Wayne Arnold and Leslye Arnold. The Fayette County Sheriff’s Office and Modern Woodmen of America members will co-sponsor an Identity Theft Training Program Sept. 15, 7:15 p.m., at Fayette Progressive Industries, 1330 Robinson Road southeast in Washington C.H. Detective Brian Carlson will be the presenter and the Altrusa Club of Washington Court House will host the event and serve refreshments catered by The Farmer’s Pantry. The program is free to the public for adults over the age of 18, but reservations are required. The best way to avoid becoming a victim of identity theft is to become knowledgeable about how your identity can be stolen. Please contact Debra Grover, 740- 333-8503, on or before Sept. 12 to make your reservation. Shared values – yours and ours. That’s what makes Modern Woodmen of America a fraternal financial services organization, different. Touching lives and securing futures since 1883. Built and owned by members. Together, we impact your community and what matters to you. For more information contact Dan Mayo at 937-725-0445.
https://www.recordherald.com/wp-content/uploads/sites/27/2016/09/web1_Altrusa-MW-Training-Event-Photo-Aug-2016.jpgFrom left to right, Modern Woodmen members Jim Goolsby, Connie Goolsby, Debra Grover, Altrusa President Cathy White, District Agent: Dan Mayo, Modern Woodmen members: Bev Mayo, Wayne Arnold and Leslye Arnold.